Vietnamese spring rolls contain vegetables and small amounts of meat rolled in moistened rice paper. They are typically referred to as "salad" rolls, and like any good salad they require a dressing, or in this case a dipping sauce to enhance the flavor. While every Vietnamese family and restaurant has a unique variation for dipping sauces, there are several standard ingredients. 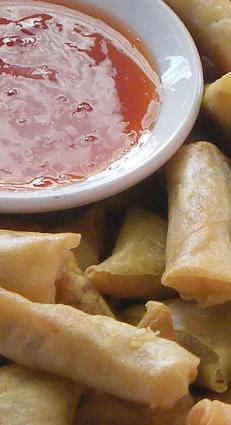 There are multiple variations for dipping sauces for Vietnamese spring rolls. 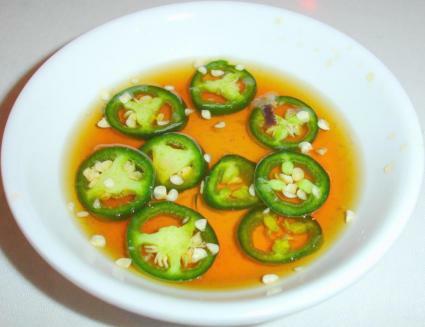 The most traditional sauce, however, is a sweet and sour sauce, known as nuoc cham. Try these variations of different dipping sauces to get a sense of the various flavors involved. Then, create your own based upon your personal tastes. Combine the water and sugar in a sealable jar and stir until the sugar dissolves. Add the fish sauce, vinegar and lime juice and mix well. Stir in the garlic and peppers. 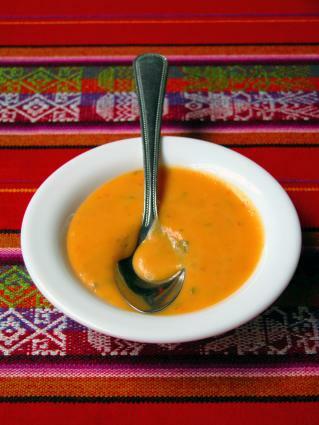 The sauce can be served immediately or refrigerated in a sealed jar. This recipe is heavier on the fish sauce for an additional depth of flavor. Combine the water and sugar in a jar and shake well. For those that don't care for the traditional taste of the fish sauce, this peanut based recipe may appeal. Sauté the garlic and chili in the peanut oil until soft and fragrant. Add the water, sugar, peanut butter and hoisin sauce and stir until the peanut butter is dissolved. Simmer for three minutes, remove from heat and garnish with minced peanuts. The filling of Vietnamese spring rolls can vary based on season, ingredients on hand and personal tastes. Adapt your dipping sauce to complement the ingredients that are in each specific roll, reducing spices when using less meat and increasing the amount of lime juice with shrimp fillings. The end result should be a perfect pairing between the spring roll and the sauce it's dipped in. Don't be afraid to tinker until you get it just right.